From 'O Holy Night' and 'Angels From The Realm of Glory' to 'Silent Night' and 'Jingle Bells', these are the 25 Top Christmas songs sung throughout the world. A great resource for families and churches at Christmastime. 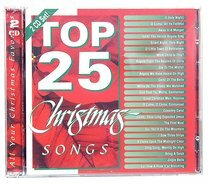 About "Top 25 Christmas Songs"